Governor Bruce Rauner today submitted a request for U.S. Small Business Administration (SBA) assistance to help people and businesses in Iroquois, Kankakee and Vermilion counties recover from severe storms and floods in February. If approved, the SBA declaration would enable people and businesses in the three counties as well as those in contiguous counties to apply for low-interest, long-term loans. To be eligible for an SBA declaration, at least 25 homes and/or businesses in a county must sustain major, uninsured losses of 40 percent or more. A damage assessment conducted in March by the SBA determined 74 homes and nine businesses in Iroquois County, 28 homes and three businesses in Kankakee County, and 21 homes and seven businesses in Vermilion County met that criteria. On April 11, the state of Illinois requested federal assistance through the Federal Emergency Management Agency to help people recover from the floods, but that request was denied late Thursday. According to police reports, Mulligan was wanted on outstanding warrants from Champaign and Kankakee Counties charging him with driving while license revoked and obstructing justice. He was transported to the Iroquois County Jail where he remains in lieu of bond. On April 29th, 2018 Gilman Police arrested Sean C, Barnes, age 28, of Ashkum. According to police reports, Bams was charged with aggravated battery. He was transported to the Iroquois County Jail where he remains in lieu of bond. Illinois State Police (ISP) District 21 is reporting the arrest of Xavier L. Barber, 33, of Elkhart, IN for Driving Under the Influence of Alcohol. On April 27, 2018 at approximately 12:00 A.M., an Illinois State Trooper was on patrol in Iroquois County. The trooper observed a vehicle traveling above the posted speed limit on I-57 northbound at milepost 292. The trooper stopped the vehicle and spoke with the driver, Xavier Barber. Barber showed signs of alcohol impairment. Barber was placed under arrest and transported to the Iroquois County Jail for processing. Barber was charged with Driving Under the Influence of Alcohol and issued citations for speeding and illegal transportation of alcohol. Police investigated and accident which occurred on Wednesday April 25, 2018 at 9:27 P.M. on S. 2nd St. near W. Walnut Street. A vehicle driven by Lydia N. Suver, 20 of Woodland was southbound On 2 nd St, when she struck a legally parked and unoccupied vehicle owned by Pamela J. Hibbert of Clifton. Suver was transported by EMS to IMH for non-life threatening injuries. No citations were issued. George W. Poe, 43 of Watseka was Issued a city ordinance citation for Failure to remove an abandoned or inoperable vehicle from the 400 block of S. 2 nd St. after being given a 7 day notice to do so. He given a notice to pay or appear in city court. Methamphetamine and Possession of a controlled substance with intent to deliver. Police then located Alexander inside the residence and she was arrested on an Iroquois County warrant charging her with FTA — Retail theft, They were both transported to ICSD jail where they await court appearances. 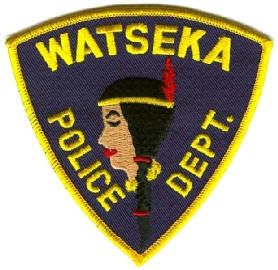 Cassie Arenibar, 29 of Watseka was arrested in the 100 block of Herron Ct., on a Kankakee County warrant, Tuesday. The warrant was a FTA for a traffic offence, She was transported to I.C.J. Lee Lingafelter, 57 of Watseka and Stacy Davenport, 42 of Watseka were involved in a traffic accident in the 300 block of S. 4th St. on Friday. No injuries were reported no citations were issued. Illinois State Police (ISP) District 21 is reporting the arrest Christopher A. Hill III, 19, of Chicago for Possession of Cannabis Under 30 Grams; Kimberly K. Kofoot, 47, of Watseka for Driving Under the Influence of Alcohol; Solomon A. Williams, 23, of Dolton for Possession of a Controlled Substance; and Tracey D. Ivory, 47, of Chicago for Driving Under the Influence of Alcohol. On April 21, 2018 at approximately 12:12 A.M., an Illinois State Trooper was on patrol in Kankakee County. The trooper observed a vehicle traveling at a high rate of speed, 106 mph in a 70 mph zone, on I-57 southbound at milepost 311. The trooper stopped the vehicle and spoke with the occupants. A subsequent search of the occupants and the vehicle revealed 29.6 grams of cannabis and drug paraphernalia. The passenger, Christopher Hill III, was charged with Possession of Cannabis Under 30 Grams and Possession of Drug Paraphernalia. On April 22, 2018 at approximately 3:16 A.M., an Illinois State Trooper was on patrol in Iroquois County. The trooper observed a vehicle swerving. The trooper stopped the vehicle and spoke with the driver, Kimberly Kofoot. Kofoot showed signs of alcohol impairment. Kofoot was placed under arrest and transported to the Iroquois County Jail for processing. Kofoot was charged with Driving Under the Influence of Alcohol and issued a citation for improper lane usage. On April 22, 2018 at approximately 6:52 P.M., an Illinois State Trooper was on patrol in Iroquois County. The trooper observed a vehicle traveling above the posted speed limit on I-57 northbound at milepost 288. The trooper stopped the vehicle and spoke with the driver, Solomon Williams. A subsequent search of Williams and the vehicle revealed 31 Xanax pills and 24.9 grams of cannabis. Williams was placed under arrest and transported to the Iroquois County Jail for processing. Williams was charged with Possession of Cannabis Under 30 Grams, Possession of a Controlled Substance, Delivery of a Controlled Substance, Delivery of Cannabis, and Bringing Contraband into a Penial Institution. Williams was also issued citations for speeding and operating an uninsured motor vehicle. On April 23, 2018 at approximately 8:19 P.M., an Illinois State Trooper was on patrol in Iroquois County. The trooper observed a semi traveling under the posted minimum speed limit of 45 mph and swerving. The trooper stopped the vehicle and spoke with the driver, Tracey Ivory. Ivory showed signs of alcohol impairment. Ivory was placed under arrest and transported to the Iroquois County Jail for processing. Ivory was charged with Driving Under the Influence of Alcohol. Ivory was also issued citations for violating the minimum speed limit, improper lane usage, and illegal transportation of alcohol. On April 21 st, 2018 Iroquois County Sheriff's Police investigated a single vehicle accident on Co. Rd. 500 N. approx. % mile west of Coe Rd. 1900 E. According to police reports, a vehicle driven by Linda L. Nicholas, age 51, of Cissna Park was traveling east on Co. Rd. 500 N. when she veered off the roadway. Nicholas over corrected and entered the south ditch and struc,k the ditch embankment causing the vehicle to overturn. Nicholas was transported to Hoopeston Hospital for non-life threatening injuries, and her vehicle sustained over $1500 in damage. On April 21 st, 2018 Iroquois County Sheriffs Police returned from Ford County with Cody A. Riddle-Mikules, age 25, of Paxton. According to police reports, Riddle-Milules was wanted on an outstanding Iroquois County warrant charging him with failure to appear for burglary. He was transported to the Iroquois County Jail where he remains in lieu of bond. On April 22nd , 2018 Iroquois County Sheriffs Police arrested Lawrence A. Walker, age 60, of Watseka. According to police reports, Walker was charged with aggravated domestic battery. He was transported to the Iroquois County Jail where he remains in lieu of bond. James R. Huckleby, 51 of Watseka was arrested on Wednesday April 18, 2018 at 7:28 P.M. on E. Walnut St, near 8th St. on an Iroquois County warrant charging him with Domestic battery and Interfering with the reporting of domestic violence. He was arrested after an Officer recognized him walking and was aware of an active warrant, He was transported to ICSD Jail where he later posted bond and was released. 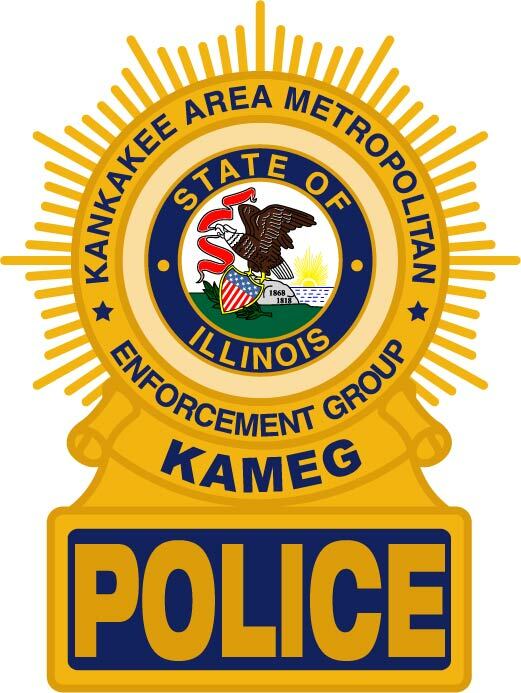 On Tuesday, April 17, 2018, at approximately 4:48 p.m., KAMEG agents arrested Demetrius S. Wells, age 38, of Kankakee, IL, for delivery of a controlled substance. During a drug investigation in the 1000 block of S. Washington Ave, Kankakee, Wells, delivered 1.3 grams of suspected crack cocaine. Wells was transported to and detained at the Jerome Combs Detention Center. Illinois State Police (ISP) District 21 and area law enforcement officials within the district’s three jurisdictional counties (Kankakee, Iroquois, and Ford Counties) announced plans aimed at increasing seat belt compliance within all three counties. The collaborative effort was implemented following a recent spike in fatal crashes involving unrestrained motorists. The three counties ISP District 21 is responsible for has experienced a significant increase in the number of fatalities resulting from crashes in 2018. Since the beginning of the year, there has been a total of 12 fatal crashes throughout District 21, and in 77% of the crashes, the fatalities involved a motorist who was not wearing a seatbelt. “Seat belts can help save lives, but they have to be put on in order for them to be effective,” said ISP District 21 Captain Don Aaron Harsy. “District 21 Troopers and our law enforcement partners in the community will target violators who choose to break the law by not practicing safe traveling habits,” added Captain Harsy. To combat this concerning rise in serious and fatal crashes, District 21 Troopers and area law enforcement officers have increased enforcement patrols throughout the three counties. District 21 Troopers will be strictly enforcing FATAL-4 moving violations which include: DUI, Speeding, Distracted Driving, and Seat Belt, with an increased emphasis on seat belt compliance. “I encourage the motoring public to do their part by practicing good safety habits each and every time they travel,” said Ford County Sheriff Mark R. Doran. “Ford County Sheriff’s officers, along with our ISP partners, will remain vigilant in our efforts to save lives,” added Sheriff Doran. Kankakee County Sheriff Mike Downey advises all motorists to please buckle up their seatbelts and make sure everyone in their vehicle does the same. “We have witnessed too many avoidable tragedies because a person was not using a seat belt,” said Sheriff Downey. “A couple seconds of your time could prevent you from becoming a fatality. If you won’t do it for yourself, do it for the people you love,” added Sheriff Downey. One of the goals of the Illinois State Police is to: "Improve the quality of life for our citizens through unimpeachable integrity, public service, training and education." The ISP will continue to work within the community to further reduce road fatalities though educational programs that bring awareness about the major fatality contributing factors. The public is encouraged to visit the ISP’s website at www.isp.state.il.us for more information about its safety education programs. On April 16th, 2018 Gilman Police arrested Terry L. Blair, age 22, of Gilman. According to police reports, Blair was charged with criminal trespass to real property. He was transported to the Iroquois County Jail where he remains in lieu of bond. On April 14, 2018 at approximately 10:36 P.M., an Illinois State Trooper was dispatched to a crash on Route 52 at 2030 N. Road in Iroquois County. The trooper arrived on scene and spoke with the driver, Devon Weiss, 24 of Donovan . Weiss showed signs alcohol impairment. Weiss was placed under arrest and transported to the Iroquois County Jail for processing. Weiss was charged with Driving Under the Influence of Alcohol. Weiss was also issued citations for improper lane usage, operating a motor vehicle while using an electronic communication device, and operating an uninsured motor vehicle. On April 12th, 2018 Iroquois County Sheriffs Police investigated a single vehicle accident at the intersection of Co. Rd. 3200 E. and 600 S, in Indiana. According to police reports, a vehicle driven by Michael J. Thorn, age 43, of Hoopeston was traveling west on Indiana 600 S. when he approached the intersection of Co. Rd, 3200 E. Thorn failed to notice the stop sign at the intersection and proceeded through intersection and into the west side ditch. Thorn was cited for disobeying a stop sign, and his vehicle sustained over $1500 in damage. On April 14th, 2018 Iroquois County Sheriffs Police investigated a single vehicle accident at the intersection of Co. Rd. 2950 N. and 400 E. According to police reports, a vehicle driven by Tyler H, Graham, age 31, of Buckingham IL was traveling west on 2950 N. when he failed to negotiate the curve onto 400 E. Graham's vehicle proceeded through the intersection and entered the west side ditch and over turned. Graham reported minor injuries, and he was treated and released on scene. His passenger reported no injuries. No citations were issued. On April 13th , 2018 Gilman Police arrested Daniel L. Taylor, age 58 of Gilman. According to police reports, Taylor was charged with domestic battery and interfering with the reporting of a domestic. He was transported to the Iroquois County Jail where he remains in lieu of bond. On April 13th , 2018 Sheldon Police arrested Tiffany D. Burns, age 30 of Watseka. According to police reports, Burns was charged with driving while license suspended. She was transported to the Iroquois County Jail where she posted the required bond and was released. Aldrige, Brooklyn, 18 of Watseka was issued a City Citation for illegal use of a hands free device, Thursday, in the 300 block of E, Cherry St.
McVay, Kathryn, 48 of Watseka was arrested Tuesday for domestic battery in the 100 block of S. Sheridan Ave. She was transported to l,CaJ, and later released. Huttenhoff, Gary, 40 of Joliet was stopped on a traffic stop in the 500 block of W. Walnut St. for one headlight, on Friday morning. During the course of the stop it was discovered that the driver did not have proof of insurance. He was issued a citation for no insurance, posted bond and released. Police Investigated an accident which occurred on Tuesday April 10, 2018 at 12:05 P.M. In the 800 block of W. Lafayette Street. A vehicle driven by Donald W, Norder, 74 of Watseka was exiting a driveway, when his brakes failed and he rolled out into the roadway and stuck a passing semi tractor/trailer driven by Michael T. Tuell, 57 of Morocco, Indiana. No injuries were reported and no citations were issued. Brooklyn M. Aldrige, 18 of Watseka was issued a city citation for Driving while using a non hands free cellular device after she was stopped on E. Cherry St. near S. 4th Street. She was given a notice to pay or appear in city court. Christoper M. Laird, 44 of Watseka was issued a city citation for Failure to remove an inoperable/abandoned vehicle from the 100 block of S. Brown St., after being given a 7 day notice to do so. He was given a notice to pay or appear in city court. Gov. Bruce Rauner today asked President Donald Trump to approve federal assistance to help people in Iroquois, Kankakee and Vermilion counties recover from severe storms and flooding in February. Rauner noted that for many residents of Watseka, the February flood marked the third significant flood event they’ve experienced in the last three years, and the fourth in the past 10 years. Joint assessment teams from the Illinois Emergency Management Agency (IEMA), the Federal Emergency Management Agency (FEMA) and the U.S. Small Business Administration (SBA) reviewed damage in the three counties in March. Nearly 1,100 residences were impacted during this event, including 157 homes found to have sustained major damage and one home that was destroyed. If Governor Rauner’s request for Individual Assistance is approved, people in the approved counties would be eligible to apply for grants and low-interest SBA loans. In addition, affected businesses would be able to apply for low-interest SBA loans. On Monday, April 09, 2018, at approximately 11:30 p.m., KAMEG agents arrested Malik M. Trapp, age 20, of Pembroke, IL, Sylvester L. Braddock, age 25, of Chicago, IL, and Demetric C. Logan, age 24, of Kankakee, IL. Trapp, Braddock, and Logan were occupants in a vehicle stopped in the 1600 block of E Court Street, Kankakee, IL, which resulted in the seizure of three (3) semi-automatic handguns. Trapp was charged with no firearm owner's identification (FOID) and aggravated unlawful use of a weapon. Braddock was charged with no firearm owner's identification (FOID), aggravated unlawful use of a weapon, and unlawful possession of a weapon by a felon. Logan was charged with no firearm owner's identification (FOID) and aggravated unlawful use of a weapon, unlawful possession of a weapon by a felon, and unlawful possession of a weapon by a gang member. Trapp, Braddock, and Logan were transported to and detained at the Jerome Combs Detention Center. On April 10th, 2018 Iroquois County Sheriffs Police investigated a two vehicle accident on 2nd St. in Cissna Park, IL. According to police reports a vehicle driven by Richard Rieches, age 66t of Onarga, IL. was traveling southbound on 2nd St. when a vehicle driven by Yazmin Renteria, age 32, of Cissna Park, IL. pulled out from a parking lot in front of Rieches. Both vehicles sustained over $1500 in damages. Both parties were transported to Carle and treated for minor injuries. No citations were issued. On April 1 I th, 2018, Iroquois County Sheriffs Police investigated a single vehicle accident on Co. Hwy 43 near Co. Rd. 1630 N. According to police reports a vehicle driven by Christopher M. Pawelczak, age 35, of Watseka, IL, was traveling southbound on Co. Hwy. 43 approximately 1/2 mile north of Co, Rd. 1630 N. Palwelezak was negotiating a curve when he drifted off the west shoulder and over corrected and lost control. Palwelczak entered the east ditch, striking a culvert and the ditch embankment before overturning on the vehicle's roof. No injuries were reported and one citation was issued for failure to reduce speed to avoid an accident. On April 8th, 2018 Iroquois County Sheriffs Police arrested Tyler J. Henedy, age 32, of Milford, According to police reports Henedy was charged with aggrevated domestic battery and interfering with reporting of a domestic battery. Henedy was transported to the Iroquois County Jail where he remains in lieu of bond. Illinois State Police (ISP) District 21 is reporting the arrest of Rogelio Perez, 34, of Onarga for Driving Under the Influence of Alcohol. On April 9, 2018 at approximately 4:29 P.M., an Illinois State Trooper was on patrol in Iroquois County. The trooper observed a vehicle traveling above the posted speed limit and swerving all over the roadway on I-57 southbound at milepost 283. The trooper stopped the vehicle and spoke with the driver, Rogelio Perez. Perez showed signs of alcohol impairment. Perez was placed under arrest and transported to the Iroquois County Jail for processing. Perez was charged with Driving Under the Influence of Alcohol and issued citations for speeding, improper lane usage, following too closely, and illegal transportation of alcohol. Austin L. Reed, 22 of Watseka was ticketed on Wednesday April 4, 2018 at 5:30 A.M. for No valid registration and Operation of an uninsured motor vehicle, after he was stopped on E, Walnut St, near Ernest Grove Parkway for having no registration on the vehicle. He posted bond and was released. Illinois State Police (ISP) District 21 is reporting the arrest of Sharrie L. Smith, 45, of Kankakee; Arthur P. Coleman, 40, of Sun River Terrace; Tavaras Smith, 37, of Kankakee all for Driving Under the Influence of Alcohol; and Edward E. Colon, 26, of Chicago for Possession of Cannabis Over 30 Grams. On April 6, 2018 at approximately 8:46 P.M., an Illinois State Trooper was on patrol in Kankakee County. The trooper observed a vehicle stopped on the right shoulder of I-57 southbound at milepost 317. The trooper approached the vehicle and spoke with the driver, Sharrie Smith. Smith showed signs of alcohol impairment. Smith was placed under arrest and transported to the Kankakee County Jail for processing. Smith was charged with Driving Under the Influence of Alcohol and issued a citation for illegal transportation of alcohol. On April 7, 2018 at approximately 12:21 A.M., an Illinois State Trooper was on patrol in Kankakee County. The trooper observed a traveling above the posted speed limit and swerving all over the roadway on Route 17 at Heiland Road. The trooper stopped the vehicle and spoke with the driver, Arthur Coleman. Coleman showed signs of alcohol impairment. Coleman was placed under arrest and transported to the Kankakee County Jail for processing. Coleman was charged with Driving Under the Influence of Alcohol and issued citations for speeding, no valid driver’s license, operating an uninsured motor vehicle, illegal transportation of alcohol, and improper lane usage. alcohol, failure to secure new registration, operating an uninsured motor vehicle, driving while license revoked. On April 8, 2018 at approximately 1:34 A.M. an Illinois State Trooper was on patrol in Kankakee County. The trooper observed a vehicle with no headlights activated on Route 50 at Mulligan Drive. The trooper stopped the vehicle and spoke with the driver, Edward Colon. A subsequent search of the vehicle revealed 139 grams of cannabis. Colon was placed under arrest and transported to the Kankakee County Jail for processing. Colon was charged with Possession of Cannabis Over 30 Grams and Possession of Drug Paraphernalia. Colon was also issued citations for improper lighting, operating an uninsured motor vehicle, driving with expired license plates, and failure to secure new registration. On April 4th, 2018 Iroquois County Sheriffs Police arrested Robert L. Shrimplin, age 49, of Sheldon. According to police reports Shrimplin was wanted on an outstanding contempt of court warrant. Shrimplin was aware of his warrant, and turned himself into the Iroquois County Jail where he remains in lieu of bond. On April 7th, 2018 Sheldon Police arrested Christopher J. Latty, age 22, of Watseka. According to police reports Latty was wanted on an outstanding Kankakee County warrant for driving while license suspended. He was transported to the Iroquois County Jail where he posted the required bond and was released. Kimber Smith, 24 of St. Anne and Charlotte Leigh, 70 of Watseka were involved in a traffic at Walnut and 2 nd St. on Friday night. No injuries were reported and no citations were issued, Both vehicles were driven from the scene. Johnna Branch, 47 of Watseka struck a parked vehicle in the 300 block of N. 8th St. on 04/01/18. No citations were issued and no injuries were reported. On April 2nd , 2018 Iroquois County Sheriffs Police investigated a two vehicle accident in Gilman near the intersection of E. Elm and S. Maple, According to police reports, a vehicle driven by Garrick R Ortman, age 64, of Gilman was stopped in the middle of the roadway on E. Elm St. A vehicle driven by Cody M. Wilken, age 30, of Gilman attempted to pass by Ortman's vehicle and when attempted Ortman took off and struck Wilken's vehicle. No injuries were reported, no citations were issued. Karen Vaccaro, 56 of Joliet was arrested on Tuesday April 3, 2018 at 3:56 P.M. In the 400 block of E. Walnut for Driving under the influence of drugs, after Police were called about a suspicious vehicle parked at a business. She was also found to have an active Livingston County warrant for FTA — DUI. She was transported to ICSD Jail where she awaits a court appearance and then extradition to Livingston County. Police Investlgated an accident which occurred on Monday April 2, 2018 at 2:36 P.M. in the Napa parking lot. A vehicle driven by Jon A. Norder, 42 of Watseka was pulling into the lot, when he did not stop in time and struck the building. No Injuries were reported and no citations were issued. Amanda J, Sweeney, 31 of Watseka was issued a city ordinance citation for allowing a dog to run loose In the 500 block of E, Oak St. on Wednesday March 28, 2017 at 3:12 P.M. She was given a notice to pay or appear in city court. Salvador Higareda-Perez, 53 of Watseka was issued a clty ordinance citation for Illegal burning on Sunday April 1, 2018 at 12:SO P.M. In the SOO block of S. 2nd Street. He was given a notice to pay or appear in city court. Chad Roby, 22 of Chicago was Issued a city ordinance citation for Solicitation without a permit on Monday April 2, 2018 at 2:40 PIM. in the 800 block of W, Lafayette Street, He was given a notlce to pay or appear in city court. .Heather M. Vaughn, 29 of Ashkum was arrested on Sunday April 1, 2018 at 12:41 A.M. on N. 5th St, near E, Ash St, for Drlvlng under the influence of drugs, Reckless conduct, Child endangerment, Obstructing Justice, and Resisting a Peace Officer, after she was stopped for falling to signal a turn. She was transported to ICSD Jail where she was also ticketed for failure to signal a turn, She awaits a court appearance. Patrick M. Laird, 41 of Watseka was arrested on Sunday April 1, 2018 at 11:22 P,M, In the 100 block of S. Brown St. for Domestic battery, after Police were called to a residence there for a disturbance. He was transported to ICSD jail. Gary Griswold, 73 of Claytonville and Beth Knight, 49 ifErie, PA were involved in a traffic accident on Thursday in 200 block of E, Walnut St. No injuries were reported and no citations were issued. On March29 2018t Iroquois County Sheriffs Police arrested Mason M. Wittenborn, age 21 , of Milford, IL. According to police reports, Wittenborn was charged with domestic battery, Wittenborn was transported to the Iroquois County Jail where he remains in lieu of bond. 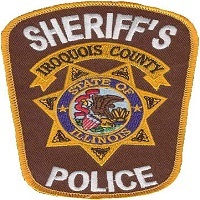 On March 30th, 2018, Iroquois County Sheriffs Police arrested Taryn Bruens, age 19, of Watseka, IL. According to police reports, Bruens was charged with unlawful possession of cannabis. Bruens was transported to the Iroquois County Jail where she tater posted bond and was released. On April 1 st, 20181 Sheldon Police arrested Matthew S, Schroder, age 51, of Iroquois, IL. According to police reports, Schroder was charged with driving white license revoked. Schroder was transported to the Iroquois County Jail where he remains in lieu of bond. On April 1st, 2018, Eric D, Bretzrnan, age 52, of Milford, IL. turned himself into Iroquois County Jail to start serving his 180 day sentence for driving while license is revoked.